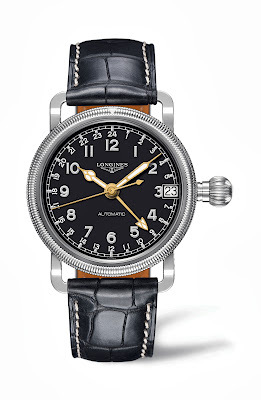 It’s Longines’ 180th birthday. And, to mark this anniversary, they’ve given me an early birthday present: The Longines Telemeter Chronograph and The Longines Tachymeter Chronograph. 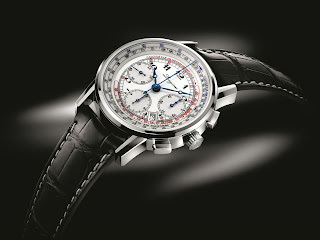 Ok, they didn’t give them to me exactly, but they did release the two watches inspired by classic Longines. The Longines Telemeter Chronograph was inspired by a watch produced by Longines in 1933. 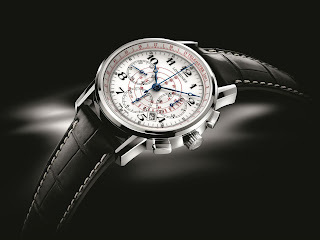 This three-register Chronograph features a red telemetric scale circling the outside & a tachymetric scale spiraling the inside of the white lacquered dial, a date at the 4:30 and a 41mm steel case housing a caliber L688 automatic movement with a column-wheel chronograph developed exclusively for Longines. 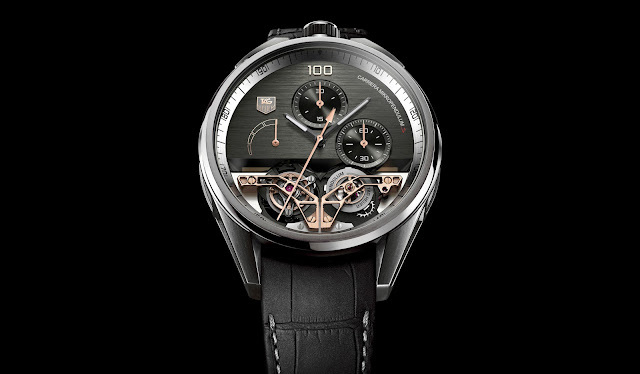 Blued steel Breguet hands, black Arabic numerals and a black alligator strap round out the watch. The Longines Tachymeter owes it’s design to a watch featuring a tool first introduced in 1811 to measure the productivity and speed of assembly lines. In a more contemporary setting, the tachymeter is used to measure speeds of pretty much anything. The Longines Tachymeter Chronograph brings the elegant & functional look and feel of a traditional tachymeter chrono and brings it into a modern setting. Like the Longines Telemeter Chronograph, the Longines Tachymeter Chronograph’s heart is a caliber L688 automatic movement with a column-wheel chrono seen through a display back and a date at the 4:30. The actual tachymetric scale is in blue for the kilometer rate and red for the 100m rate on a white lacquered dial. Blued steel Breguet hands and and black alligator strap complete the look.